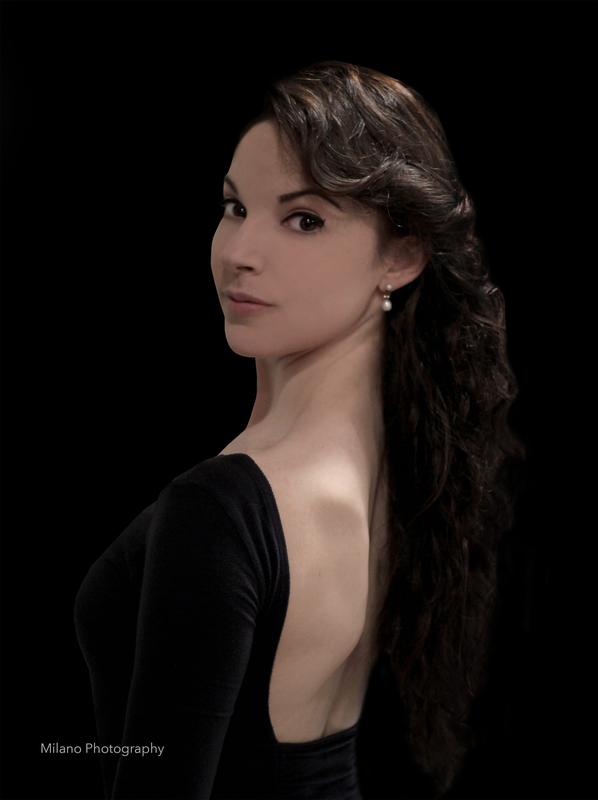 Nicole Firpo joined Central West Ballet in 2000. Ms. Firpo has distinguished herself in such roles as Juliet in Romeo and Juliet, As Princess Aurora in The Sleeping Beauty, as Myrtha in Giselle, in George Balanchine's Who Cares? (I'll Build A Stairway To Paradise), Valse Fantaisie and Serenade (First Movement), in Val Caniparoli's Violin and in Caniparoli's Songs, as Swanhilda in Coppélia, as Tiger Lily in Peter Pan, as Cinderella, the Lead Faery in Of Faeries and Elves, the Sugar Plum Fairy, Waltz Queen, Snow Queen, Arabian Pas de Deux and Lead Dew Drop in The Nutcracker, as Mrs. Vanderstahlbaum and the Sugar Rum Cherry in Nutcracker in Jazz, as the Lead in Gretchen Vogelzang’s Dancing for Edgar, as the Lead Sylph in Les Sylphides, as The Girl in The Red Shoes, as a Tall Swan and in the Pas de Quatre from Swan Lake, as a Principal Soloist in A Ballet for Marie, as Katrina Van Tassel in Jan Clark Fugit and René Daveluy's Legend of Sleepy Hollow, as well as in Fugit and Daveluy's Peter and the Wolf and Coppélia, and in numerous other works, most notably in René Daveluy's Summer Rhapsody (Summer Waltz), in 1001 Nights (Court Pas de Deux), That's Showbiz!, Irish Suite, King Of Pop, CWB Rocks, Love Duets, Purple Tribute, The Existence Project, Solitary Workers, Rat Pack in Revue, Romancing the Stage, Juline, Festive Overture, House of Folk, Canvas Emotions and Nature’s Rite. Nicole Firpo has also made her mark in Alyssa Milano's Libertango and in Rampancy, choreographed by Erikka Reenstierna-Cates. CHOREOGRAPHY: Nicole Firpo has choreographed for Central West Ballet in performances such as Nutcracker in Jazz (Sugar Rum Cherry Dream, Sugar Rum Cherry Chorus, Cantina Band Sugar Rums, Gypsy Sugar Rums and James Bond Sugar Rums) Rat Pack in Revue (Too Darn Hot, Sway and Cool Syncopation) That's Showbiz! (Whistle With Style), and a trio entitled Bonded for Central West Ballet's Balanchine and New Works evening.